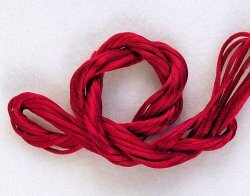 Wine satin cord in #0 petite weight, dark and fruity as a glass of Merlot. 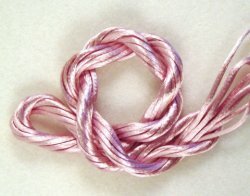 Mauve satin cord in #0 petite weight, as smoothly cool as raspberry ice cream. 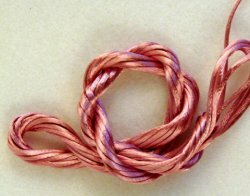 Lavender satin cord in #0 petite weight, with the light sweetness of a berry gelato. 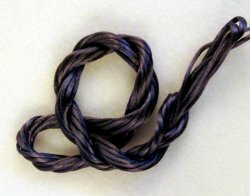 Dark gray satin cord in #0 petite weight, a stony neutral that pops all other colors. 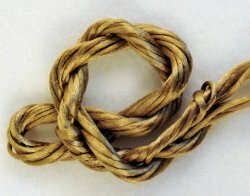 Light brown satin cord in #0 petite weight, a luscious brown that sweetens many colors.